Please excuse the intrusion on your time, but I’m a little lost and would appreciate some guidance. I’ve been trying to understand Marxism and its variants for years, now, but it is a very thick and deep forest. It doesn’t help that there seem to be a lot of strongly held opinions out there, and everyone criticizes everyone else. That’s probably a good thing for the movement, but it is quite bewildering for the outsider or beginner. For example, there are Marxism, Trotskyism, Communism, Socialism, and so on, and I see that each has multiple definitions (depending on whom and when one asks). One book I read on Marxist economics said that even Karl Marx himself said he didn’t recognize all the the things called “Marxist”, so many things were done in his name. To make matters worse, there are all of the uncertainties of history related to Marxism and its offshoots: Bolsheviks were financed by New York bankers, the Soviet Union betrayed the Spanish communists when they were fighting Franco, CIA strategy was developed in part by ex-Trotskyists, and so on. This can’t all be true, there are so many contradictions. I’ve been exposed to American history all of my life (some of it quite false), and I am a little comfortable navigating around it, though I am certainly not an expert. That includes U.S. law (and its roots in England), the various antecedents of American “philosophy” (again, right and wrong), and the roots of U.S. culture. But, when it comes to other ways of thinking and other histories, I am a stranger. My idea of Russian history, for example, is a mass of facts, many contradictory, so I don’t have a sense of how it all ties together. I know that a lot of it relates to this or that political theory, and I know that Marxism started more in England than in Russia, so maybe it doesn’t have much to do with Marxism. But this cannot be exceptional: most of the thievery by the privileged in the U.S. is simple thievery, not based on anyone’s awareness of surplus value or democracy or anything like that. Maybe theory is just theory, and it’s simply fantasy to tie them much together. I read and enjoyed Harman’s A People’s History of the World, and enjoyed it immensely. However, it only went so far, and it had very little theory in it. I’m not sure where to go from there. Marx himself is very dense, and frankly I have trouble following him, but things have moved forward from him, anyway, so he’s probably not the best place to start. Trotsky, Lenin, and Luxemburg (for examples) are quite readable, but I don’t know how to put them into perspective. I don’t see a reading list on your web site. I see that you have read Chris Harman’s History of the World. I have that on my bookshelf at home and am looking forward to the time when I can read it myself. It sits next to Neil Faulkner’s A Marxist History of the World: from Neanderthals to Neoliberals that I hope to get to as well. Faulkner, like Harman, was a member of the British SWP until he left in a split led by John Rees. Like a number of people trained in this movement, these are the elite of Marxist theory. I would also recommend anything written by Neil Davidson, who may still be a member—I’m not sure. Davidson’s latest book is titled We Cannot Escape History: States and Revolutions and would be a good place to start since it is a collection of his articles that appeared in scholarly journals. Also, A.L. Morton is another British historian that I hold in high regard. Morton was a member of the British Communist Party Historians Group that included Morton, Eric Hobsbawm and E.P. Thompson. Morton wrote a People’s History of England that is priceless as history as well as a model of how to reach a non-academic audience. I suspect that Howard Zinn had Morton’s book in mind when he wrote his American history. The good news is that Morton’s book is freely available on the net (https://libcom.org/history/peoples-history-england). I also recommend CLR James’s Black Jacobins that is about the revolution in Haiti led by Toussaint L’Ouverture. James was a great historian and arguably the most important Marxist thinker after the death of Leon Trotsky. Turning to Russian history, I strongly recommend Trotsky’s History of the Russian Revolution that is online at: https://www.marxists.org/archive/trotsky/1930/hrr/. Trotsky was a great writer and his history was viewed as a literary masterpiece even by those who disagreed with his political analysis. I also have high regard for anything written by Moshe Lewin, who started off as a blast furnace operator in a Polish factory during WWII and then became a major figure in academic Sovietology. I read his Russia — USSR — Russia: The Drive and Drift of a Superstate and recommend it highly. Another important work that will help you understand Soviet Communism is Stephen F. Cohen’s biography of Nikolai Bukharin. Like Lewin, Cohen is influenced by Marxism but is not really ideological in the same way as Trotsky or CLR James. To round out “the Russian question”, I would recommend Isaac Deutscher. His 3-volume biography of Leon Trotsky is indispensable. Deutscher started off as a Trotskyist but became critical of the movement later on. There’s a collection of his articles in Marxism, Wars and Revolutions: Essays from Four Decades that was written in 1985 that covers Russia as well as other topics. I have read some of the articles and found them very useful, especially one on the Polish Communist Party that will be referenced in a forthcoming article about the filmmaker Andrjez Wajda I am working on. Maurice Dobb is among the authors published by MR’s magazine. To illustrate how broad its outlook, Dobb was involved with a major debate with Paul Sweezy in the 1950s over the origins of capitalism but that did not exclude him from consideration as a contributor to the magazine. I strongly recommend Maurice Dobb’s Studies in the Development of Capitalism that is focused on British economic history and as a good complement to A.L. Morton’s book. If you read the two in tandem, you’ll learn about British history and the Marxist class analysis. Like Morton’s book, Dobb’s is online: http://digamo.free.fr/dobb1946.pdf. This list of course does not exhaust the subject of learning about Marxism but I guarantee that a careful study of the included works will give you a leg up. Lewin’s “The Soviet Century” is also a very good read. For the MR school, there is also Paul Sweezy’s earlier book, The Theory of Capitalist Development, which is available online (http://digamo.free.fr/sweezy42.pdf). And for fun, you might want to look at the final exam for Sweezy’s 1940 course, The Economics of Socialism, that he gave at Harvard University. For those keeping score at home, Neil Davidson is no longer a member of the British SWP. I recommend Crisis and Change Today: Basic Questions of Marxist Sociology (2nd edition) by Peter Knapp and Alan Spector. 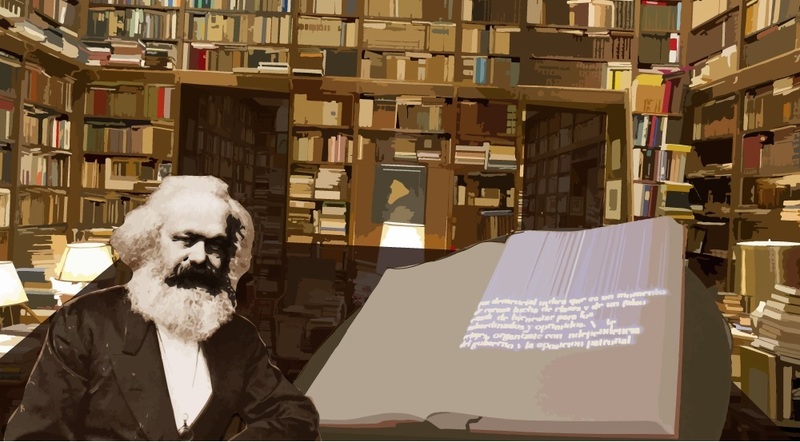 It’s aimed at college students and addresses Marxist concepts of base and superstructure, economics, the state and politics, and philosophy. For the uninitiated, the books listed are far from being good intros to Marxism. What they do reflect are the views of the followers of Leon Trotsky, the renegade exile or Aaron Burr of the Russian Revolution. Trotskyists tend to be petty bourgeois, not workers. They belong to tiny splinter groups with no real connection to the working class. Though ostensibly “Marxists” their hatred of “Stalinism”–that is, actually existing Socialist societies–has always served the capitalists well. If you want to understand Marxism, study Lenin. His “‘Left Wing Communism–An Infantile Disorder” is his diagnosis of Trotsky-like groups of his time, ultra-“left” in rhetoric, but anti-Communist in effect. Aaron Burr of the Russian Revolution. Why? Because he was on the Nazi payroll? You aren’t Grover Furr’s adopted son, are you? You are just jealous Mr. Proyect, because unlike Dr. Furr you have never been the recipient of an award from the Stalin Society of North America. I addition you still labor under the illusion that a socialist transition period is a necessary stage on the rad to communism. Dr. Furr, and his friends in the Progressive Labor Party, realize that society must move from capitalism to full communism in one fell swoop- historical experience and Marx;s Critique of the Gotha Programme be damned. For marxist economic theory, I’m surprised nobody has mentionned “The Accumulation of capital” by Rosa Luxemburg. Thanks for the recommendations, Mr Proyect. I had been wanting to make a similar request to you myself. If I might add what I feel is an important book, that although written in the 1970s still seems very relevant, Labor and Monopoly Capital by Harry Braverman. It’s also a Monthly Review book. Braverman writes of “the degradation of work in the 20th century”, through automation, division of labor, Taylorism, etc. He has some really fine work on Frederick Taylor himself, thatmakes the book well worth reading on its own. Used as an instrument of class warfare by capital, division of labor etc is used to separate the brain from the hand in the labor process, so management has almost all the knowledge and physical labor turns into a deskilled, repetitive brainless task. I never hear anyone reference or bring Braverman up, maybe it’s time for a revival. Apparently I didn’t read your response very closely, you mentioned Braverman right in it! Sorry about that, but I think Labor and Monopoly Capital is worthy of two mentions. When I read Michael McBrearty’s mad-eyed spittle-flecked rant about Trotskyists, I started thinking about the type of people who’d rather shoot Spanish revolutionaries in basements than let them spoil Uncle Joe’s plans for peaceful co-existence with the ruling classes of Britain and France. My impression is that the requester was not a beginner, but far enough to wonder about Leninists vs Trotskyists vs Maoists, and why. I read 1-22 Marxian books every months, and can only list a few of my favorites, with ignorance about sectarian implications. 1) David Harvey is good. I particularly liked Paris: Capital of Modernity where I could watch a Marxian geographer at work at historical analysis. Harold Isaacs Tragedy of the Chinese Revolution and De Ste Croix Class Struggle in the Ancient World are two other history books I learned from. Banaji and Kristin Ross and of course Hobsbawm. 2) Neil Davidson is good, Bourgeois Revolutions. 4) I enjoy theory. Georg Lukacs History and Class Consciousness is as important a book as any. Jameson and Williams are next. Debord, Bensaid, etc. This branch of Marxism shows up in sociology, anthropology literary criticism, everything. 5) For economics, the Mandel Late Capitalism is good. Resnick and Wolff are good. Recently, Anwar Shaikhs’ Capital and John Smith’s Imperialism in the 21st Century have been acclaimed. 6) I guess is the activists not enough of those: Jodi Dean Varoufakis And I haven’t mentioned the World Systems people: I prefer Samir Amin and Arrighi to Wallerstein. 5) For economics, the Mandel Late Capitalism is good.